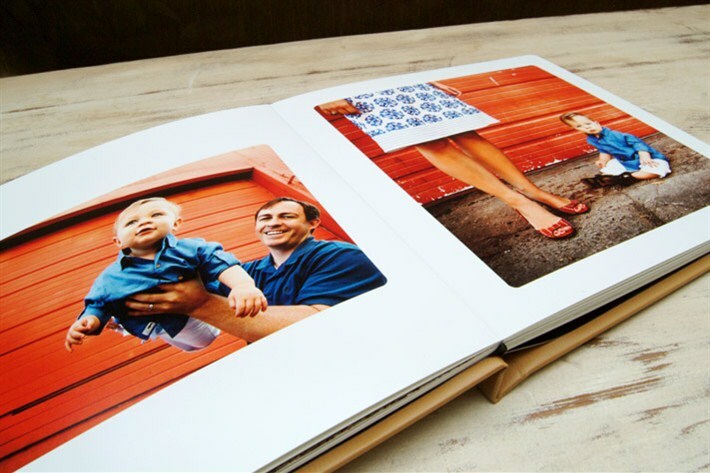 Keepsake Baby Albums include your choice of 20 or 24 photographs from your childs session or a combination of sessions. 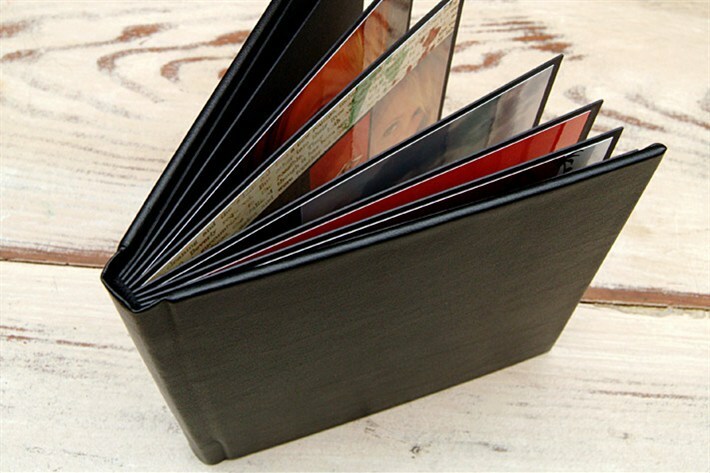 Choose an 8x8, 8x10,10x10 or 8x12 album in one of 9 different leather cover colors! Gallery Wrap Fine Art Canvas - Breathtaking works of art for your home or office. 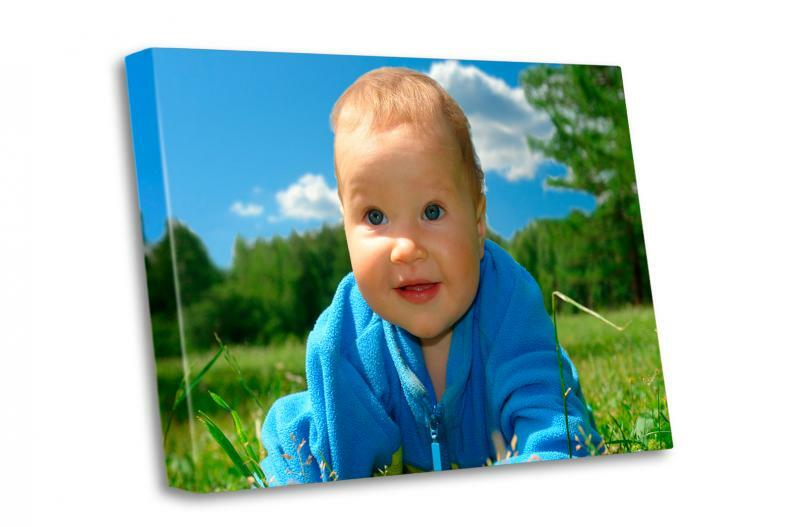 Images are printed directly onto canvas and wrap mounted onto and around a stretcher frame. They have a textured/woven like surface making the images resemble a painting. They are coated for protection and may be hung directly onto the wall surface without the need for any additional framing. Gallery Wraps are 1.5” deep and are pre mounted with hanging hooks, wire, hardware and bumpers, ready to hang in their place of honor in your home or office! 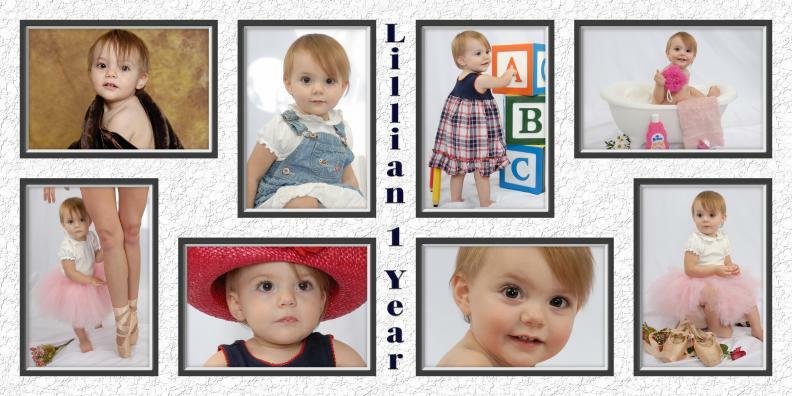 Custom Composite Art Prints - Hand designed wall portrait composites created with your choice of 3-7 of your favorite images. DVD Montage - Specially designed DVD montage shows are available for Watch Me Grow newborn, and baby session plans. Personalized etched DVD is presented in a deluxe album case. 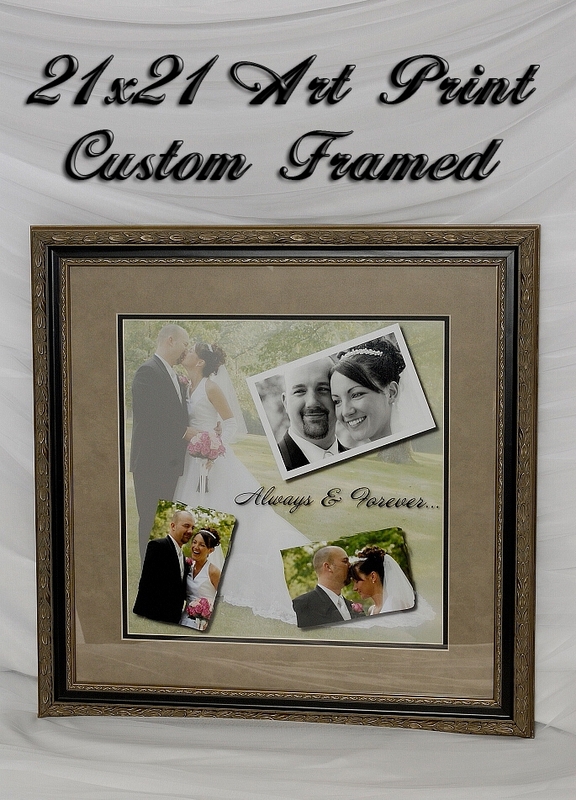 Custom Framing - Dozens of hand crafted frames are available and include countless choices of archival double matting to compliment and match any décor. 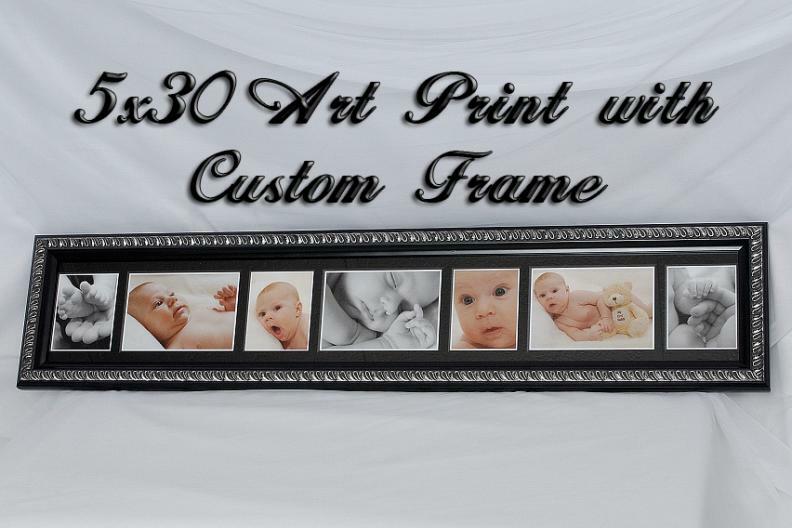 Virtual framing of your photographs at the studio lets you see how it will look before you order your custom framed creation! 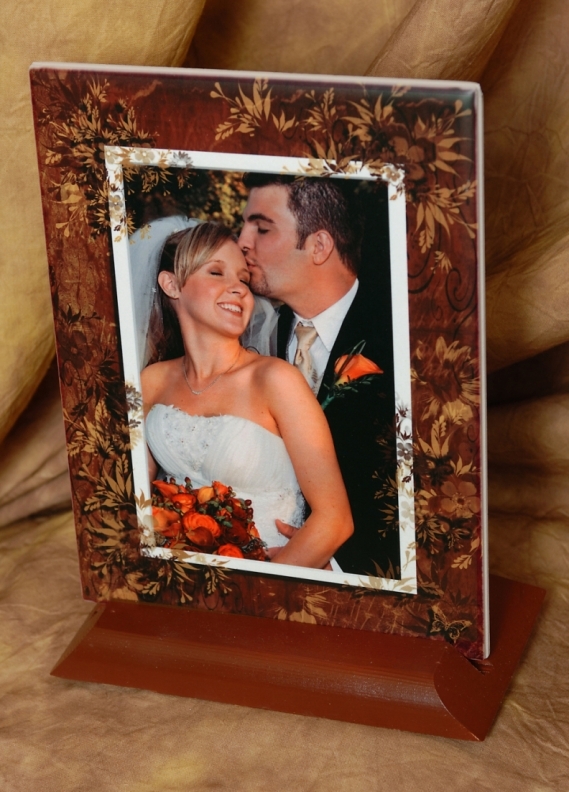 Folios - Display two matted photographs mounted in a folding frame. Price includes two 5x7 prints of your choice in a black or ivory leather cover. 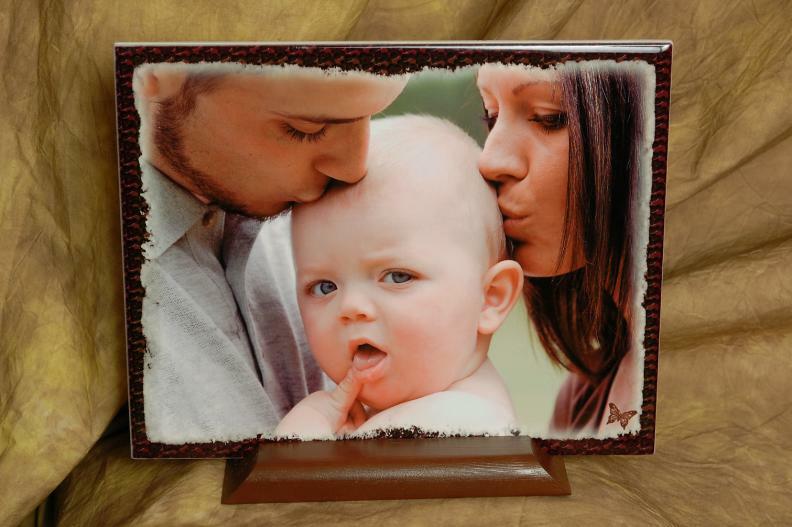 A Beautifully decorative and stunning way to showcase your favorite portraits on vivid photo tiles! 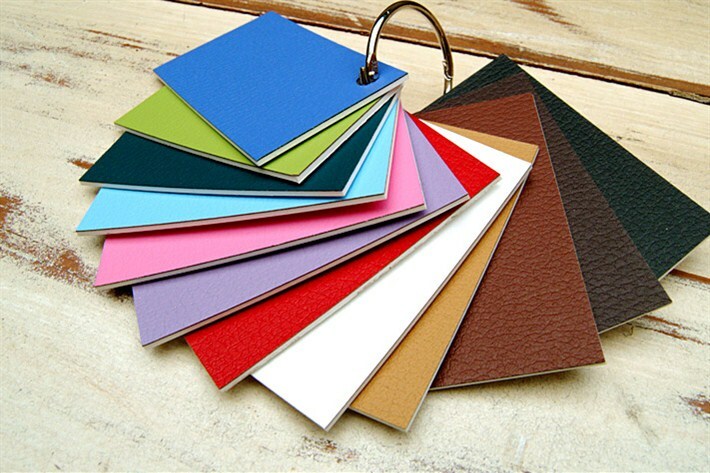 Various sizes available including 2x2, 4x4, 4x6, 6x6, 6x8, 8x10 with decorative custom designed borders to suit your individual tastes and style. Stands included, no frames needed. 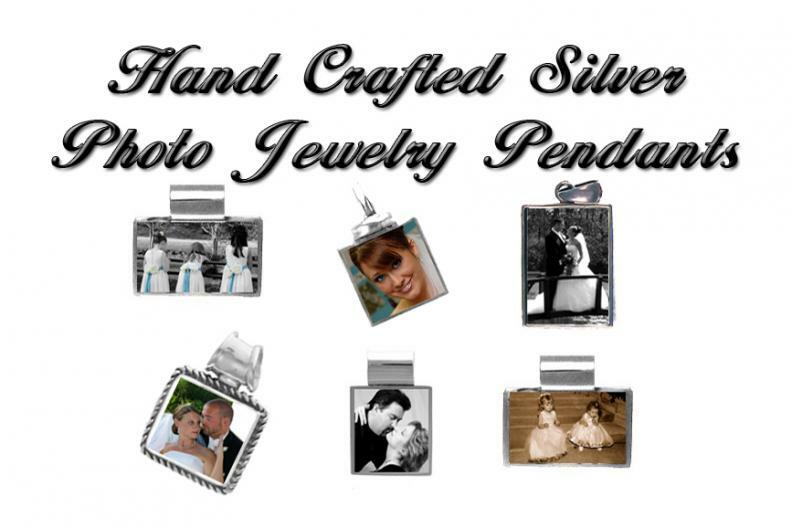 Hand Crafted Silver Portrait Jewelry - Artisan made, sterling silver jewelry creations. Your favorite portrait is transformed into heirloom quality wearable art. 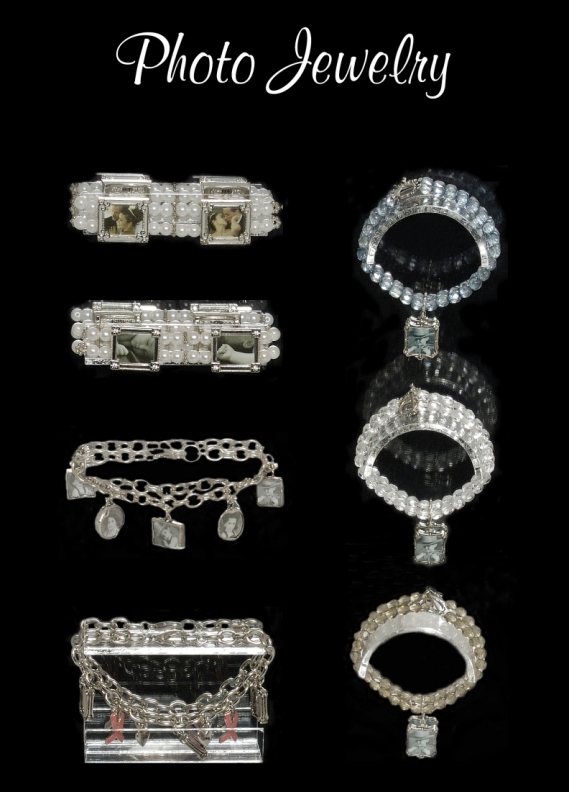 These unique pieces are truly breathtaking. 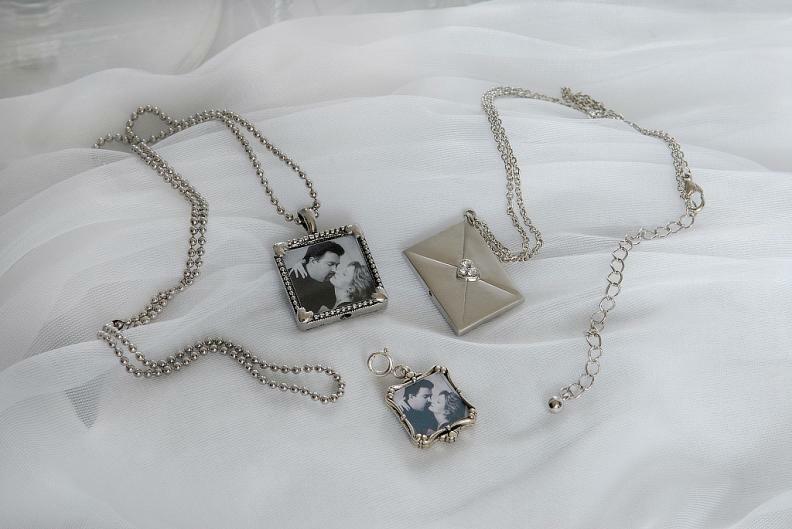 Various pendants, slides and charms are available with single and double sided options. 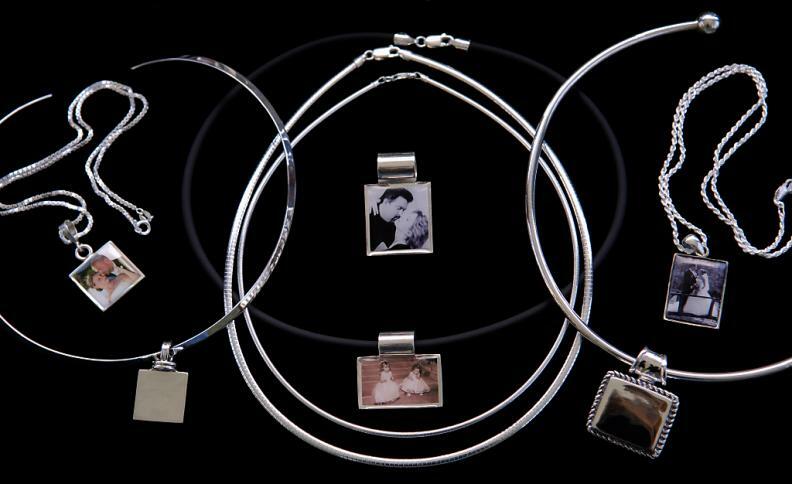 Charm Portraits Jewelry - Charm Bracelets, Necklaces & Photo Charms in crystal, sterling silver, and rhodium silver tone metal to display your favorite photographs. 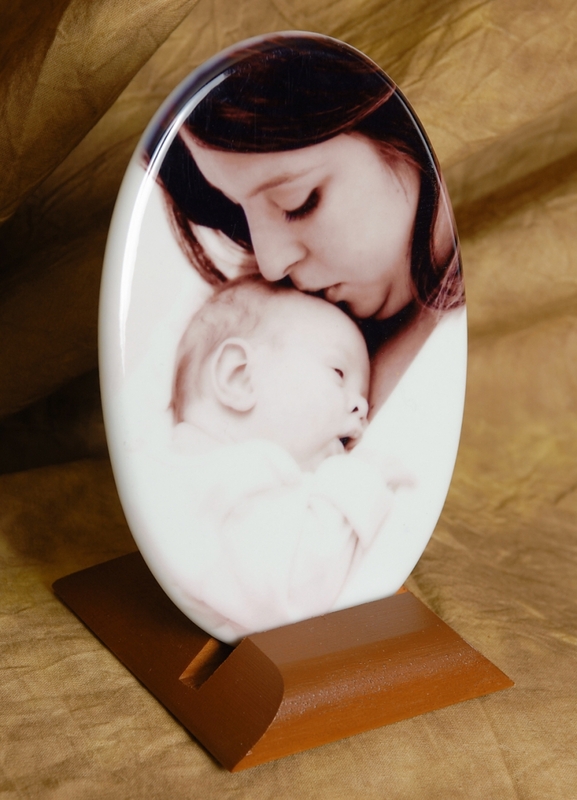 These make wonderful personalized gifts.